I wonder how fortunate I am to be working for the North East Ambulance Service? How many paramedics or technicians who work on the UK`s rapid response/fast response cars hear the words in the title of this post after they have been dispatched to an emergency? When the ‘front loaded model’ of getting paramedics to patients as quickly as possible in a car, to be backed up by appropriate support (either full A&E ambulance, Urgent ambulance or even a patient transport ambulance) was first introduced it was initially for day time only. It has only been within the last couple of years that we have had rapid response available 24 hours a day. At the time of consultation with staff and union, there was obviously some discussion about staff safety when working alone in potentially dangerous environments. The results of these discussions provided our control complex with guidelines to what we could attend when working on rapid response. 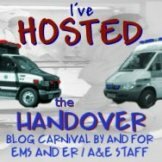 I am unsure if the other ambulance services in the UK enjoy this protection for their staff, but from what I read on others blogs, it appears not (please correct me if I am wrong). Its a pretty big list isn’t it? However, just because these are what I am not meant to get sent to when on the car, doesn’t mean that I don’t end up at them sometimes. The call handler can only rely on what the patient or caller tells them and what they can hear in the background. I have found myself in some scary places at times and have had to make a rapid retreat from the scene, but I am confident that if the call handler had picked up on it, I wouldn’t have been sent in the first place. This leaves me free for the ‘genuine’ jobs. The chest pains, abdo pains, trauma, shortness of breath etc etc, and the other bread and butter stuff of working for the North East Ambulance Service. over and over again. After about the 7th time, the radio operator came on and apologised and informed me that there just wasn’t anything they could send me to at that time, which goes to show how much of our work is alcohol related. The end result of this policy is that I truly feel protected as much as possible by the system. After what I read from some of the other blogs out there, Im sure some of my fellow paramedics would like the same offered to them. I still tend to have a busy night though. If all of the crews are out dealing with the drunks, overdoses and assaults, there isn’t much cover left for the genuine poorlies that come in, and that’s where hopefully rapid response comes into its own. That and alot of driving to other stations to cover their areas whilst they are out!! WOW! That’d probably be at least 50% of my workload gone… You’re right, we don’t get that same protection, so we still get sent on any of the above list. If I don’t like the look or the sound of it, I’ll ask and wait for police to come with. But you know what it’s like. Some nights these calls you’re “protected” from are the only thing going, and other nights you can be busy from start to finish with genuine calls and genuine callers…..
Wow. The only thing that protects us on any call is the bulletproof (and HOT) vests we have to wear. They are not comfortable. And calls that have weapons involved happen in our area about once every two years. And we’re usually on scene about 10 to 15 minutes before the police. Wow! You get well looked after. I’m only a Community First Responder, but I get sent (on my own) to some categories on your list. Even though I know I’ll be backed up shortly, I could be there for 10 minutes alone. I do, though, have the right to turn down any job. I’ll only exercise this right if it’s obvious that the truck will be there before me and it’s a fair way off – I pay for my own diesel. I’m not KNOWINGLY sent to jobs where alcohol is an issue. I am sent to jobs in pubs. I am warned if recreational chemicals are involved, and it’s up to me to stand down if I’m not confident. Dynamic risk assessment? You bet! One sniff of bother and I’m history! Suicides – it depends. We don’t do trauma, so I don’t get the delights of assaults. And no, I don’t go to flagged addresses – but someone’s got to be the first to go there to get them flagged. Luckily I’ve never been in that position, but it has happened to other CFRs in our unit. That appears to be about half of the jobs you lot seem to get. Atleast your safe which is the important thing. Maybe come along to one of chi clubs for some practicle self defence lessons. It such a shame that even ambulance crews have to wear vests now! Naw, I’m kidding. I get sent to everything. If it sounds bad, I time my arrival so that I arrive with someone else, be it a police officer or the ambulance. At my fire department job, there’s nothing quite as safe as arriving with 6 other guys carrying axes and sledge hammers. Unless there’s a gun… because I am highly allergic to lead. Lets expand on the jobs we dont get sent to. Its just a wish list. What?! No lone worker policy here. Cars go, if it’s violent/aggresive/scummy, book scene to hit the times round the corner and wait. Pure stats! I’ve been a CFR and got sent to a couple of these – chest pains in a pub, assault. To be fair, control did call me back for the assault and ask if I wanted to stand down – I lived around the corner and was obviously going to be first on scene, but as I arrived, the police did as well, so I continued to roll. I have on numerous occasions either stood back and waited for backup first or called in for backup. So far I’ve never been alone in a situation where I’ve had to walk away, but it’s always an option in my mind and I try to keep myself between the patient and the door if things look like they could get a little “exciting”. Wimby – I must disagree. Being betwen the PT and the door is ideal. If the PT appears violent, you can leg it – fast – without having to get by them. If they wish to get away, you dance the Passa Doble and move to one side.